Yes it will be spring soon... I know it's snowing and icy for many of you. How about some spring blooms? We got our house going up for sale in about 1 1/2 weeks. They will be coming to take professional photos. We hired the best agent in our area. He gave us discount off his commission because I said to him. "I listen to your show on the radio and I want you to sell my house". Yay! It's raining a lot today that is good we need the rain....now that the house will be for sale, will there be lots of rain? do I need to try to cover the carpet at the entrance into the house with something? have people wear shoe covers? I don't want my carpet and flooring dirtied. I had that happen at the last house I sold they left the floor completely muddy. You can imagine my anger! GRRRRR! I did complain the agent that was showing my house that day. Please tell me who would walk into a muddy wet yard on a rainy day into someone's home? 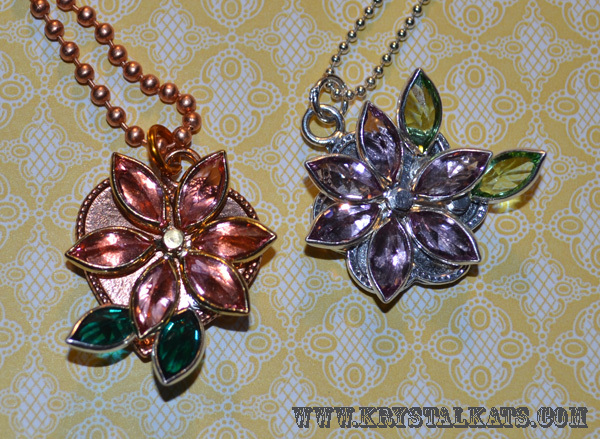 Okay here are the Spring Bloom Flower Pendants I made today. I used Swarovski Crystals as always. 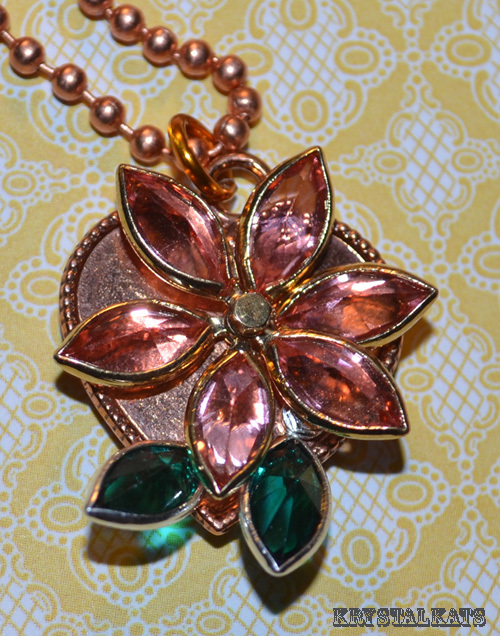 On the left I used Rose Gold Swarovski Crystals for the petals and leaves, with a copper blank, copper ball chain necklace. 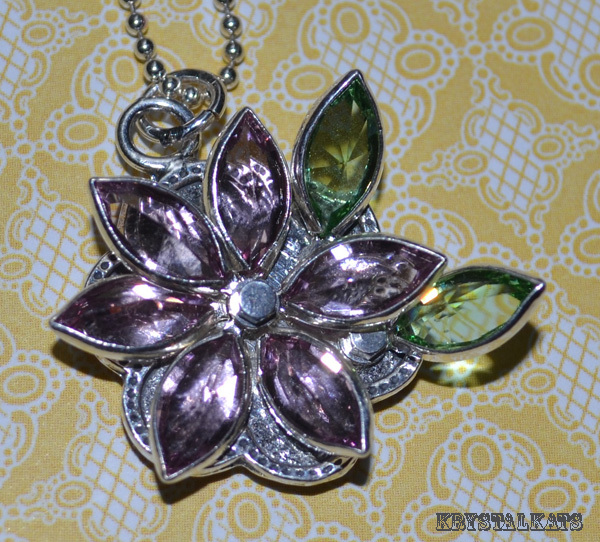 For the Silver Pendant I used Tanzanite petals and peridot green leaves on a silver flower blank with sterling silver ball chain. Glad to hear your finally getting rain, hopefully by the time your house comes on the market it will calm down until after your house sells, I can't imagine walking through someone's home with muddy feet. Hope it sells quickly for you! Your pendants are just lovely! Wow Kat what pretty pendants wonderful design.